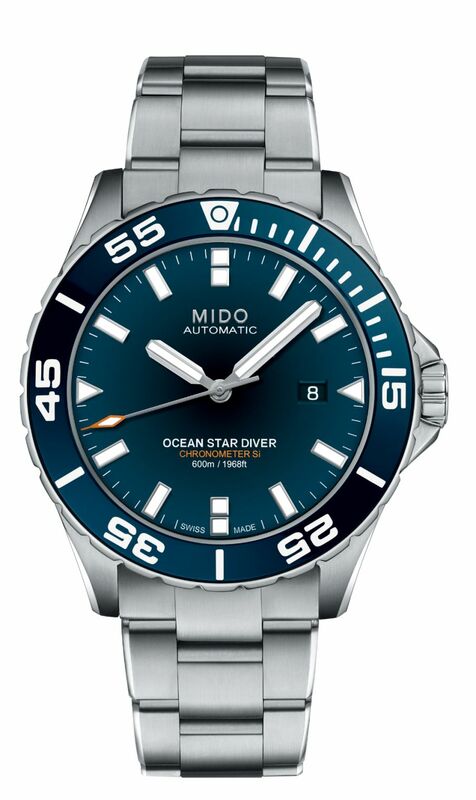 Created in 1944, the Ocean Star collection of timepieces is marking its 75th anniversary. To celebrate this event, Mido has signed a partnership with the Red Bull Cliff Diving World Series, the world's most prestigious cliff diving competition. Franz Linder, President of Mido, is delighted with the partnership: "We are very pleased to be the Official Performance Partner of the Red Bull Cliff Diving World Series 2019. 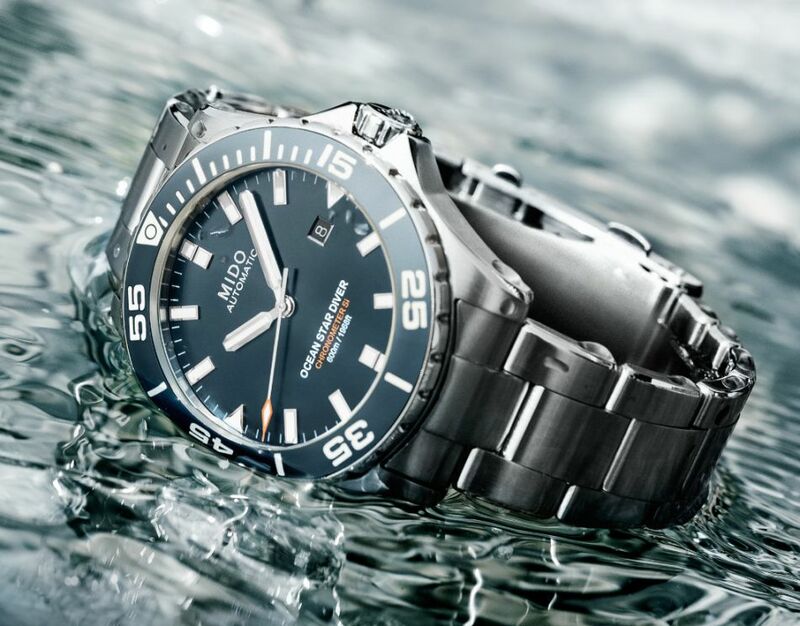 Cliff diving requires extreme precision and exceptional performance: skills that are perfectly in line with Mido's values and watches." The case, in stainless steel, measures 43.5mm. It has an AR-coated sapphire crystal and it is water resistant to 600 meters. Bezel with ceramic ring featuring engraved numerals filled with SuperLuminova. Caseback engraved with Starfish. Helium-release valve. Movement is the Swiss automatic Mido caliber 80 Si (base ETA C07.821) with 25 jewels, 21,600 vph and a power reserve of 80 hours. It features an ELINFLEX mainspring, a silicone balance-spring, and a decorative disc with transferred Si logo on the balance bridge. Finely decorated chronometer movement with blued screws, rotor decorated with Geneva stripes and Mido logo. It is adjusted to 5 positions and is COSC-certified as a chronometer. It has a lacquered blue dial with polished applied indeces with white SuperLuminova, date at 3 o'clock, and diamond-cut and satin-finished, skeletonised hands with white SuperLuminova. It comes on a steel bracelet.